As a logical outcome of his reflection on cultural synergies between populations and States and his close relationships with the United Arab Emirates, whose interest in education, the promotion of knowledge and desire to enter an open and multicultural world he is thoroughly familiar with, Pascal Renouard de Vallière developed the idea of creating a first class French university that could counter the influence of the Anglo system from which most of the elite of the Near and Far East benefit. He submitted this project to the President of the Sorbonne who encouraged him to study this potential with local authorities and gave him his support. In light of the great interest this project raised, Pascal Renouard de Vallière patiently worked for two years to achieve the realization of his idea, using his influence and personal relations to initiate, organize and support the various participants among French and Arab Emirate authorities, leading to the signature on 19 February 2006 of a partnership agreement resulting in this new creation. In October of this year, the Université Paris-Sorbonne opened its doors in Abu Dhabi in the United Arab Emirates, which provides the same education as in Paris by the same Sorbonne Professors. This university welcomes both men and women and is secular. Its diplomas are recognized nationally and internationally. PRV is pleased to invite you to visit the university’s internet site for more information: http://www.sorbonne.ae. You will find useful and interesting information on the endeavors undertaken to share knowledge and know-how, thereby contributing to peace and friendship between nations. PRV is also involved in the cultural aspect of relations between France and Saudi Arabia and believes that a lack of knowledge between nations constitutes an obstacle to true friendship between peoples. He commissioned the translation and publication in France of the work of Drs. 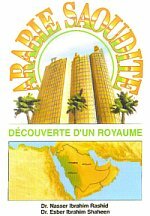 Nasser Ibrahim AL RASHID and Esberg SHAHENN, "Arabie Saoudite, Découverte d'un Royaume".